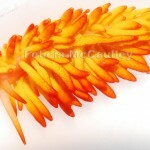 Always check new corals for coral eating nudibranchs and slugs. Many people are familiar with the Zoanthid eating nudibranchs, but there are nudibranchs and slugs that eat all types of corals. These pests are well camouflaged and not easy to spot, preferring to hide at the base of their hosts. Look for them around receding tissue, polyps that won’t open, or dead white skeleton. It is strongly recommended to quarantine new corals and to dip them in a coral dip, flatworm exit, or iodine before placing them in the tank. Tritonia spp. 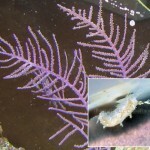 nudibranchs are often seen on purple Gorgonians from the Caribbean and can do serious damage in a short time if not removed. Unfortunately, they are extremely tiny and transparent. LPS eating slugs like the Turbinaria eating slug and Scolymia eating slug are not particularly common, but they show up from time to time. Removal is not difficult since they are relatively large and don’t seem to reproduce in captivity. 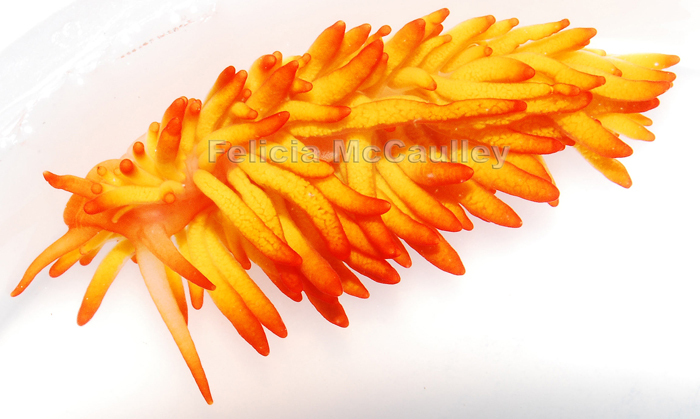 Phestilla melanobrachia is a nudibranch that eats Dendrophyllid corals and grows up to 2 inches in length. They are usually found on Tubastrea spp. 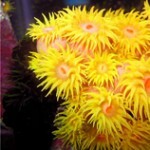 corals in captivity. 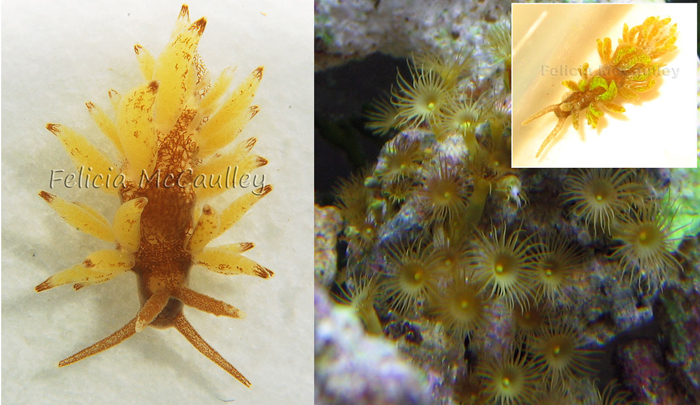 Small Zoanthid eating nudibranchs are fairly common on almost types of Zoanthids. There are countless other species of slugs and nudibranchs that eat other corals like Xenia, tree corals, Montipora, etc. 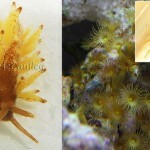 Zoanthid eating nudibranchs and Tubastrea eating nudibranchs are both types of Aeolid nudibranch. The black specks behind the first two antennae are the eyes. The finger-like appendages on the back are called cerata. The darker tips of the cerata are called cnidosacs. A Zoa eating nudibranch can consume immature nematocysts from its prey and store them in these sacs for protection against predators. The nudibranch also gets its coloration from its prey. Like their cousins the photosynthetic Elysia spp. slugs, Zoanthus eating nudibranchs even steal zooxanthellae from the Zoanthus. 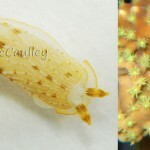 Reefers have had success eradicating the Zoa eating nudibranch with Salifert’s Flatworm Exit in high doses. Obviously, you have to be careful using this method. It’s best to take affected colonies out of the tank and treat them in a bucket of tank water with an overdose of Flatworm Exit. If you have a lot of hidden planaria (which release toxins when they die) in your main tank, it could crash. Have several pounds of carbon on hand when using Flatworm Exit. 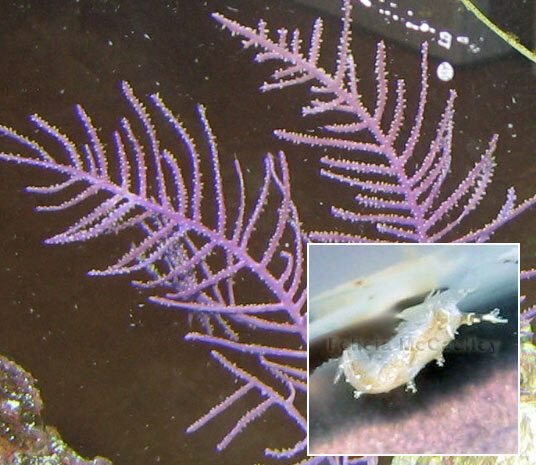 Since Flatworm Exit won’t kill the eggs of the nudibranch, you need to repeat the treatment four days later. 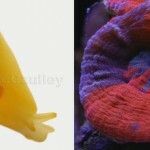 These treatments may work on other types of coral eating nudibranchs and slugs.